Time to make a new wishlist, I got all the items previous one and I'm super happy about it! My birthday will be in the next month and in december it'll be Christmas, it's my favorite period with so many holidays and lovely themed decorations everywhere! I decided to order the wishlist for price range for the first time, like a lot of magazines do for the christmas period! 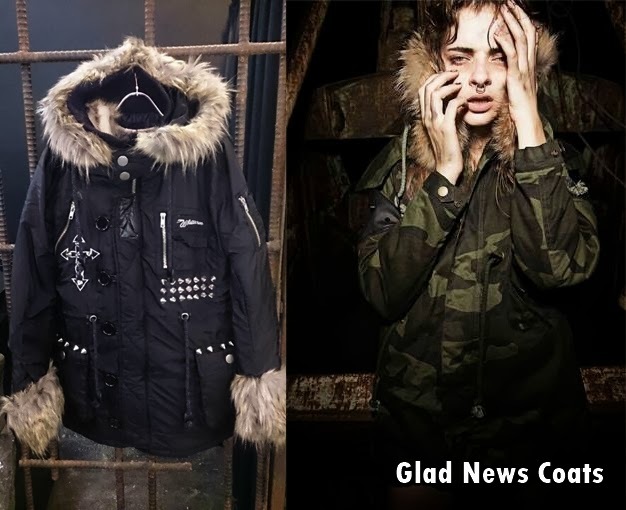 Glad News has always the best coats for my taste, I drooled about a camoprint one since last year and I fell in love with the new one of this collection!! The black one was a discovery on GN blog, it wasn't on the catalogue of their new collection so I was a mix between happiness and hate when I found it because I really LOVE it but I'm too poor to afford two brand coats....I really hope to get one of these two anyway XD ( the black one is not available in the webstore, the second one yes). 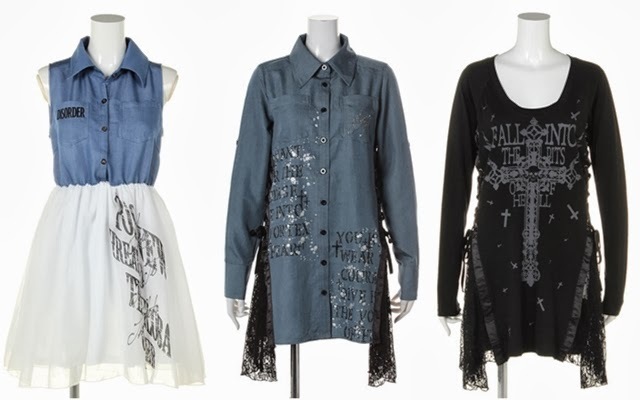 Ghost of Harlem has always a lot of amazing pieces every season, these are my favorites from the new collection and the past one, so most of these items are really cheap compared to the original prices! Most of the things are available on the Ghost of Harlem's webstore! I'm totally in love with this Unif sweater, it's my favorite color combination and it's also really cozy, in one word just perfect! It's also match a new bag I'm waiting for in the mail eheh! The second sweater is from Listen Flavor, it's a "print" I don't have in my closet also if I really like polka dots! You can find it on rakuten and Lunieshop! 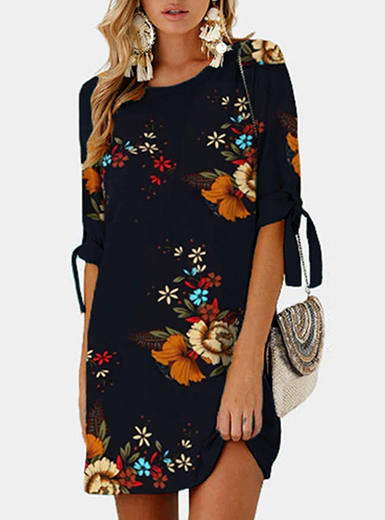 I found so many cute things from Sheinside lately! I read really nice reviews everywhere and the prices are really really cheap, I hope to buy something soon! 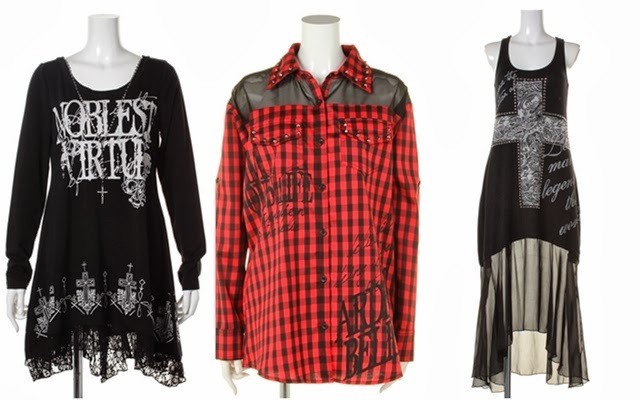 These three things are my favorites: the cat t-shirt is amazing, totally my style and perfect to second my cat addiction, the killstar sweater is perfect for autumn/winter especially for my blackxwhite outfits, the denim dress is super cute and detailed, I really like it! The hat is from Asos, I searched for a hat like this for so long and I'm really happy it's available from italian Asos and not from the usual asian stores for a good price (for example Glad News released a similar one for the double of the price XD).The denim skirt is a must have, I didn't find it in local stores so I need to buy it online, this one is from Missguided! The last sweater is from Romwe, I know maybe it's not my style but I really love the stupid bears and pink shade XD!